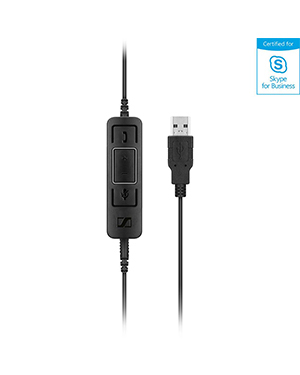 Sennheiser USB-CC x5 MS is a controller spare USB cable that is connected to several Skype for Business headsets, specifically the Culture Plus Mobile variants SC. 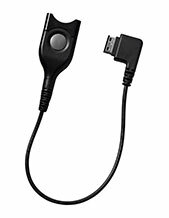 This audio accessory is considered to be convenient and ergonomic, especially when it comes to its in-line call control unit. This is excellent for users with medium to high level of calls they handle daily, especially because of the call management functions that can be accessed through the control unit. Take out your phone right now and dial Australia wide 1300 131 133 to find out how you can buy this item! Sennheiser takes pride in the company’s vision and its motivation to pursue that very vision. It aims to shape the world into the best audio of tomorrow that it can offer, structuring the society to enjoy sound better than before. And this is evident through its passion for excellence and standards of incredible innovation. The company has always aimed to achieve a perfect sound that makes people’s everyday alive in every way. Sennheiser has headquarters in Wedemark, Lower Saxony, and Hanover. It is led by CEO and Chairman of the Board Daniel Sennheiser. From the development of a voltmeter, the company expanded its development efforts to microphones, geophysical equipment, and headphones. From the, it just kept on pursuing the excellence of innovation and has moved on to open headphones, wireless microphones, studio microphones, personal, business, and professional applications and solutions, avionic headsets, business audio electronic products and solutions, and telephony accessories. Named as one of Australia’s most reliable online store today, Headsetsonline Pty Ltd has a solid history established and connected to a popular company that has been delivering high quality headsets to corporate sectors and government agencies since the year 1998. 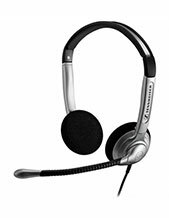 And this excellent quality of service has been continued by Headsetsonline up to the present. Headsetsonline only delivers products and solutions that pass Australian standards. With all warranties covered, the company makes sure that every product it offers are of high quality and second to none. Quality and certification of the products are guaranteed by getting its products and solutions from Australian distributors and not grey imports. This is further ensured by the company’s strict product testing and evaluation process. 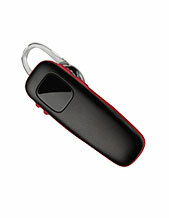 Headsetsonline operates in the Australian online market through its secured and enterprise-encrypted website: Headsetsonline.com.au. The site uses 256-bit identity authentication and 2048-but root encryption, which is the same encryption that banks use for their log-in security.